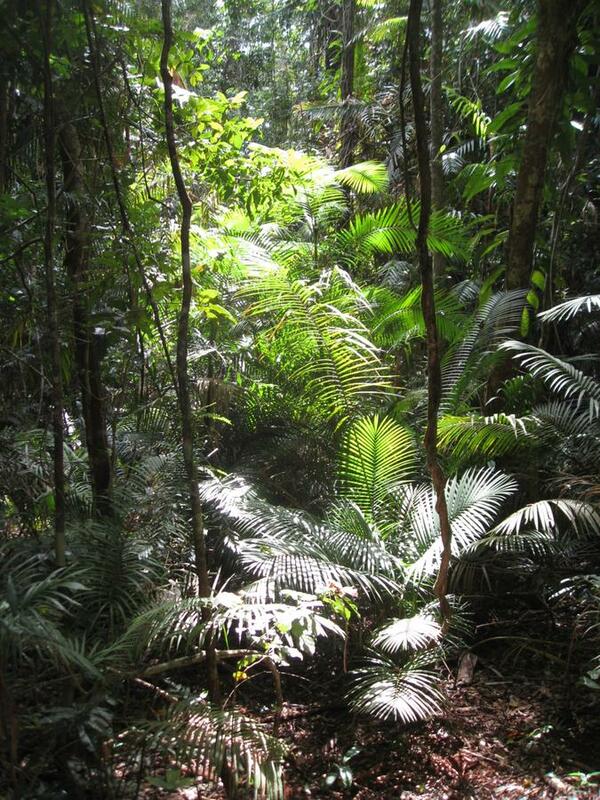 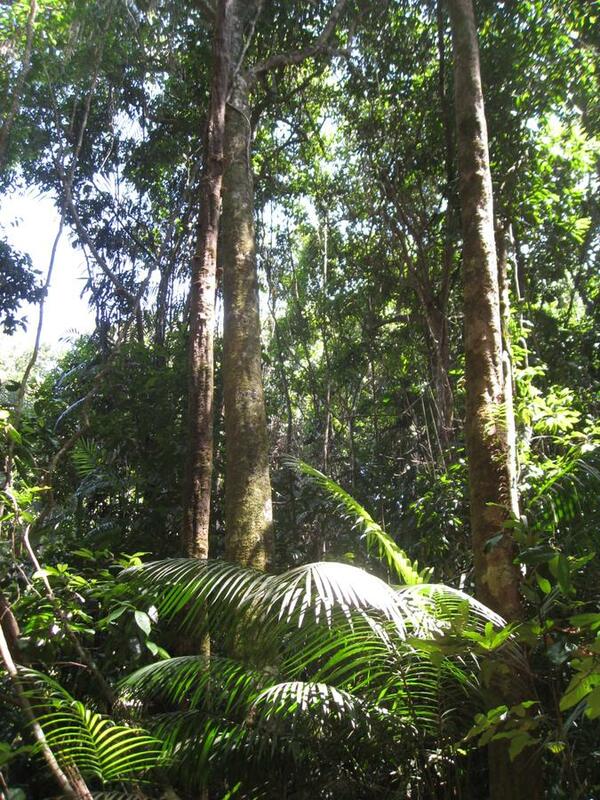 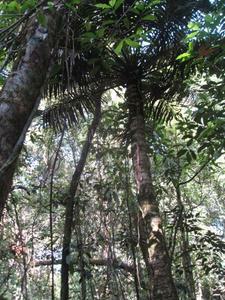 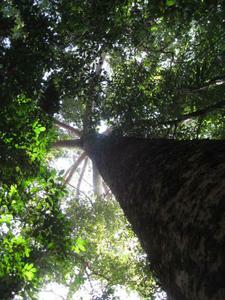 The gorgeous tropical rainforest of North Queensland. 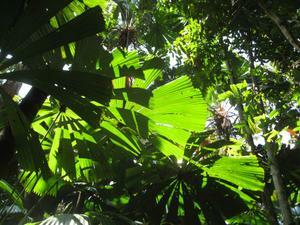 It was full of amazing plants and was lush everywhere you looked. 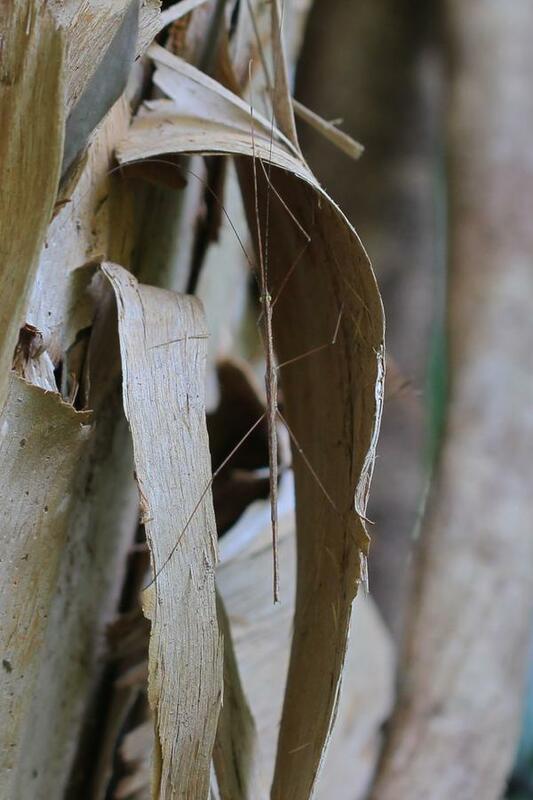 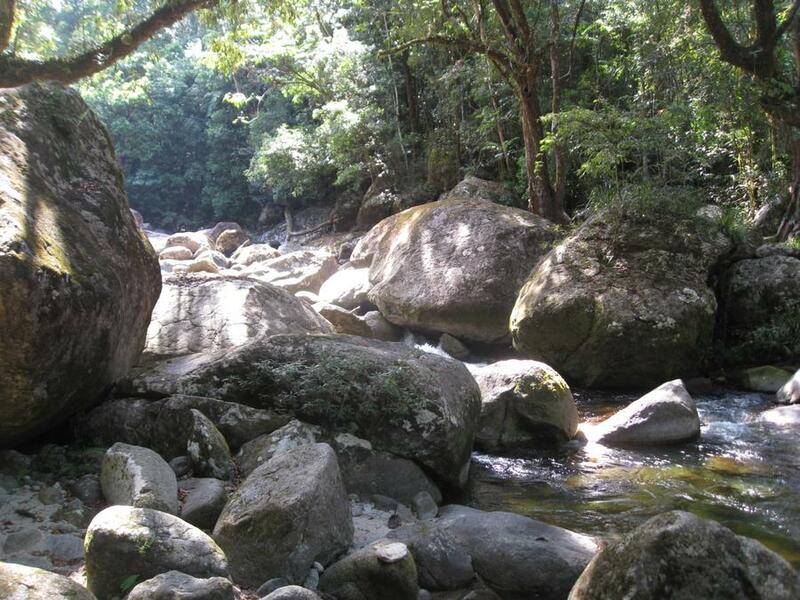 These photos are from a couple of sites—the first set are from the area around Mossman Gorge, where we went on a Dreamtime Tour with an Aboriginal guide. He told us both about what traditional life had been like, but also what life is like for people now and what traditions they have been able to hold onto. 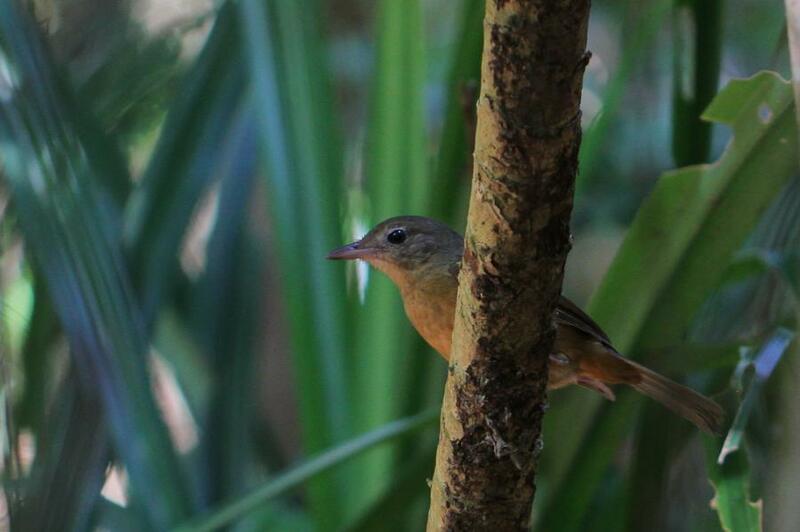 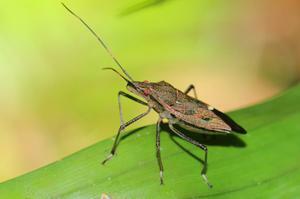 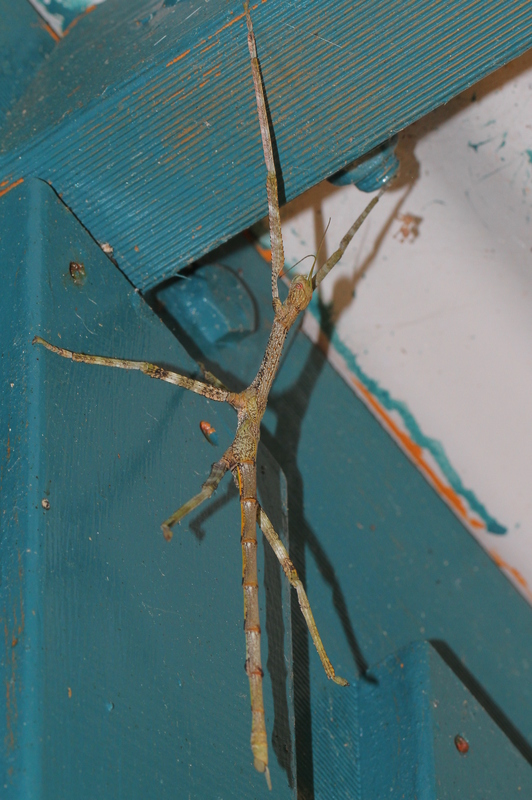 The second set is from Cape Tribulation, a little further north, where we took a number of different walks in the forest. 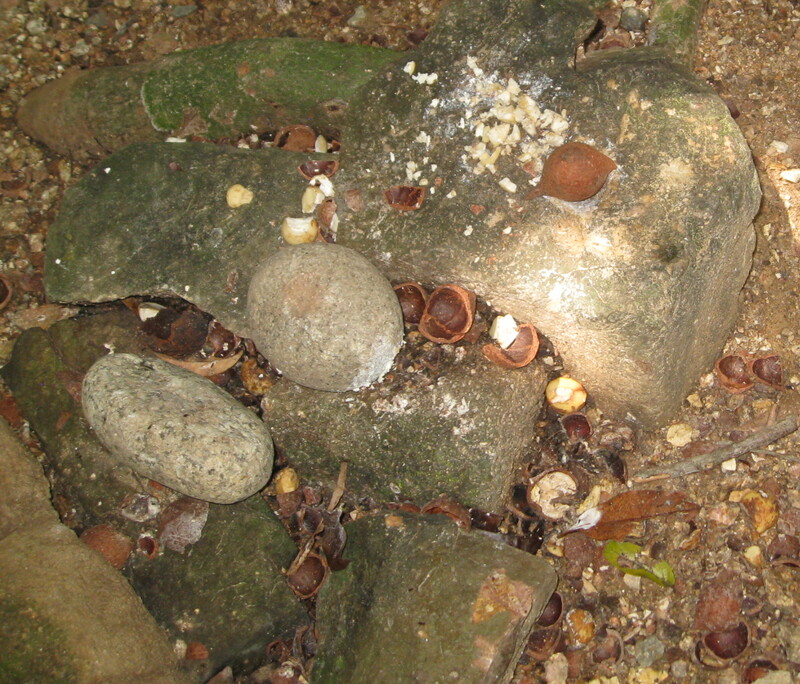 Nut crushing rock used by the Aborignal people in this region for centuries. 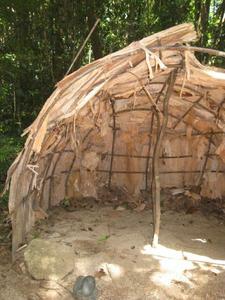 Bark hut, temporary shelter built traditionally in this area. Really, really big tree. 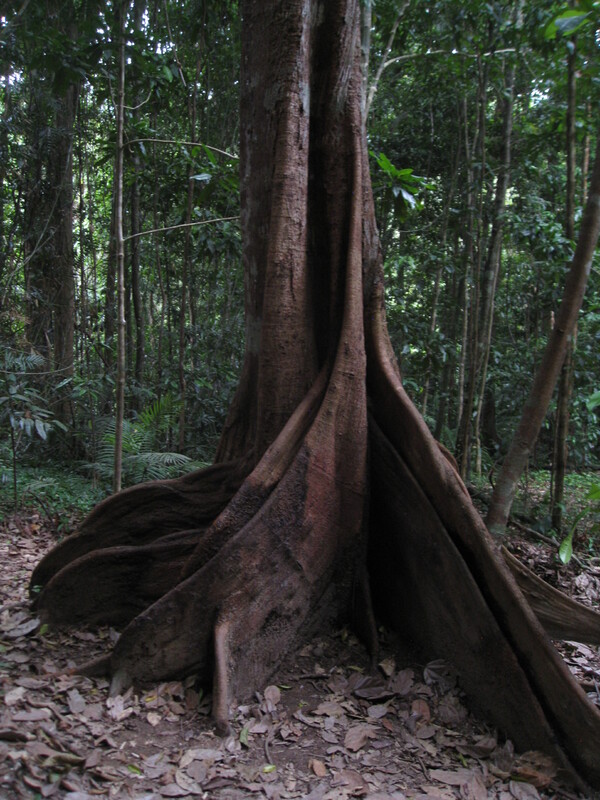 Probably a fig. 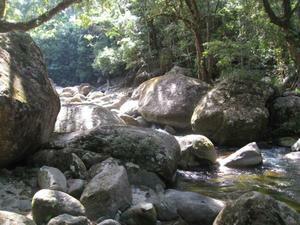 Beautiful pool in the stream going toward Mossman Gorge. 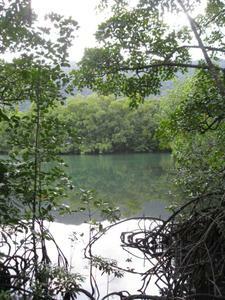 We had a lovely, but chilly, swim here. 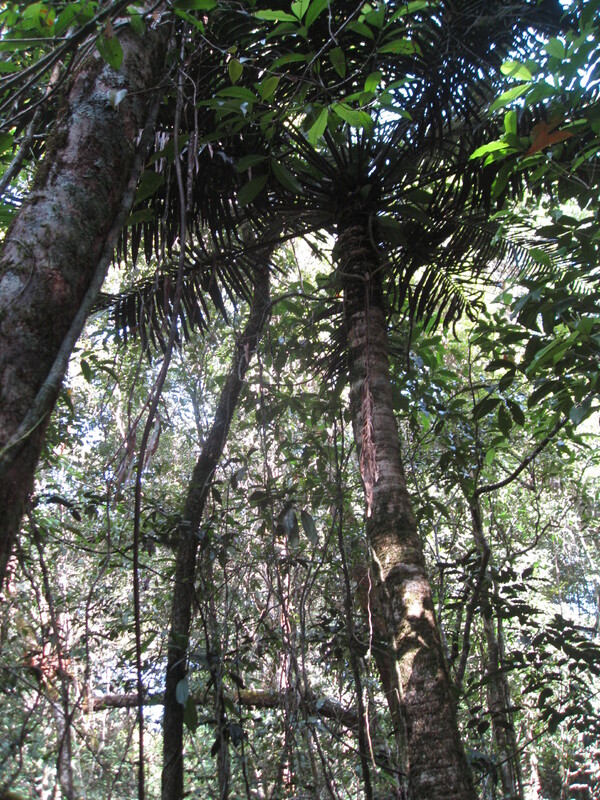 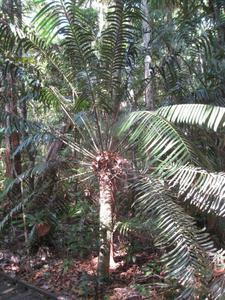 Cycad, a variety of ancient plant, growing high in the forest. 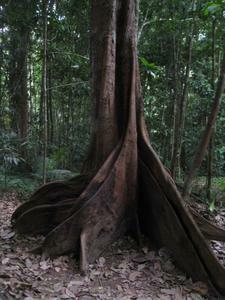 Buttress roots of a strangler fig, helps support it in the wet soils of the tropics. 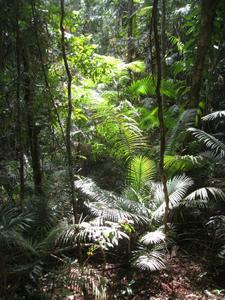 The sun shining down through the rainforest. 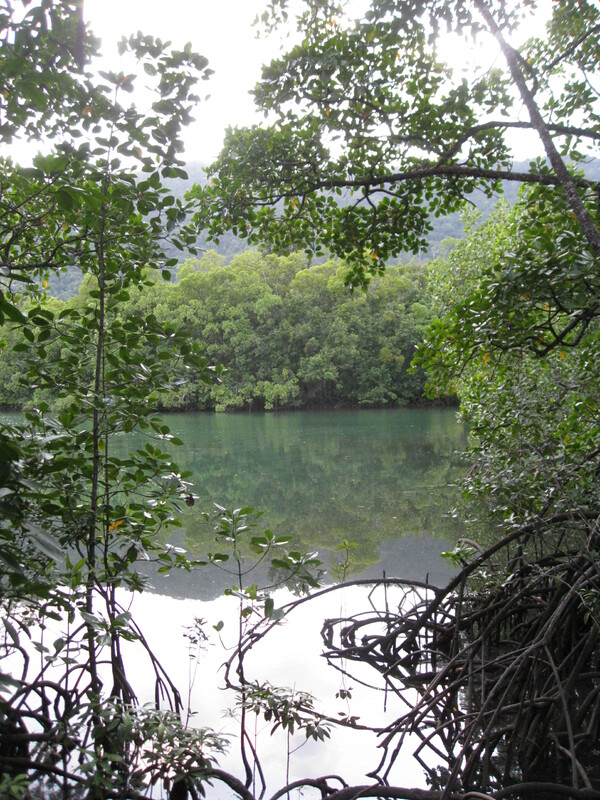 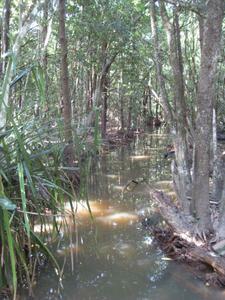 Flooded mangrove swamp, full of small wildlife. 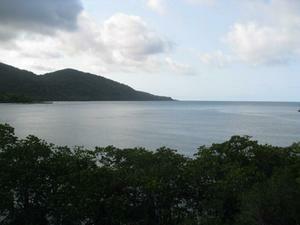 View of the ocean from Cape Tribulation. 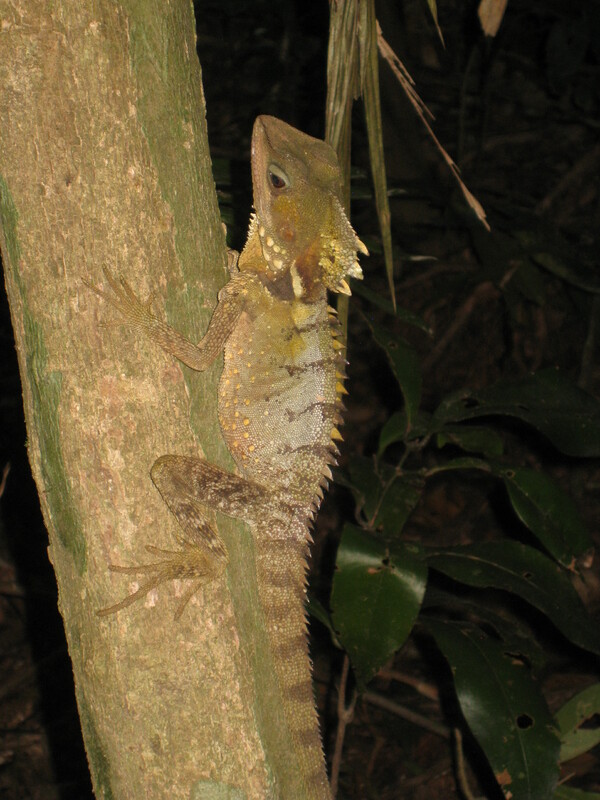 Boyd's Forest Dragon, hanging on to a tree. 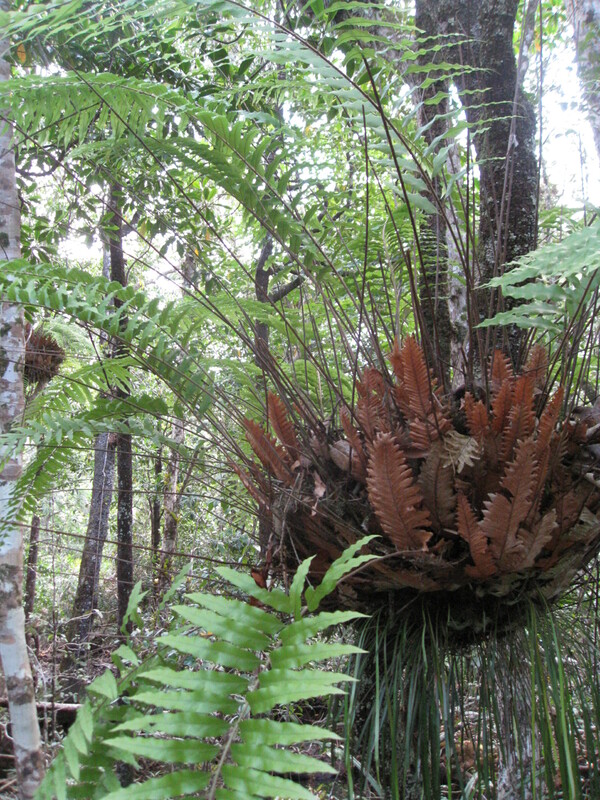 Basket Fern, ephiphytic, many creatures live in them, even tree kangaroos! River delta in Cape Tribulation. 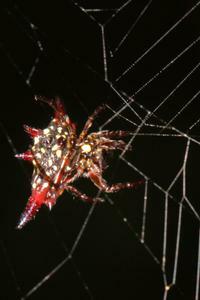 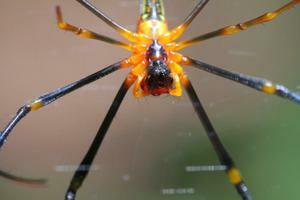 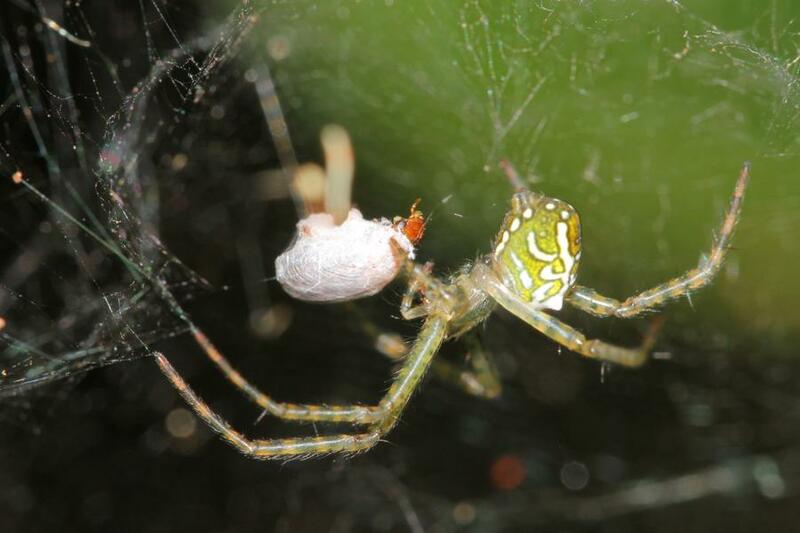 Spider trussing up an unlucky ant. 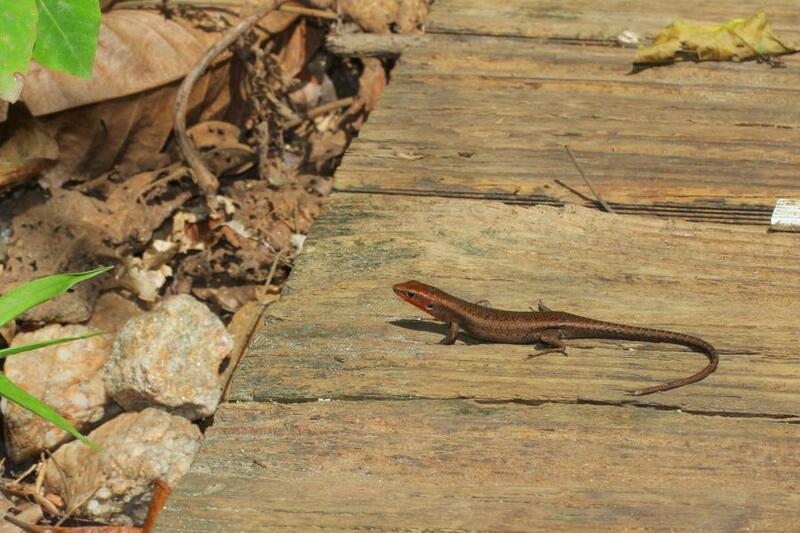 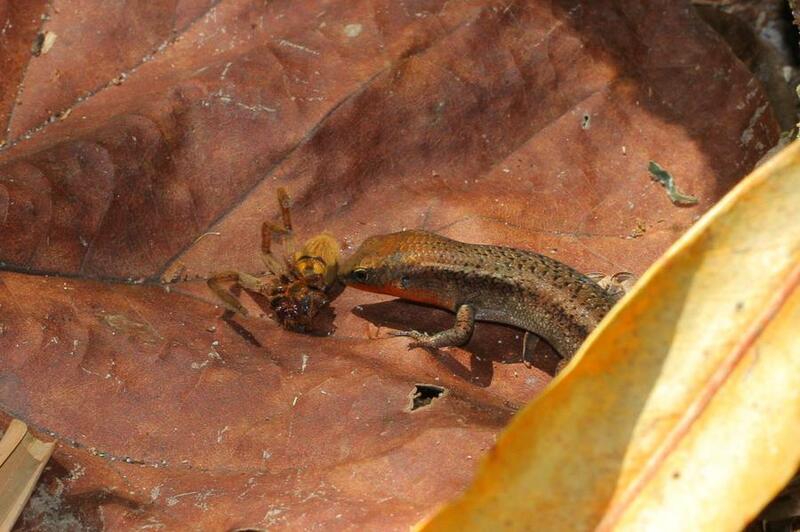 Skink snacking on large spider. 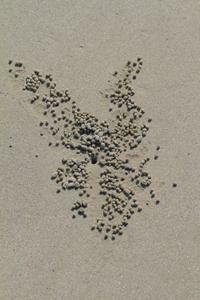 Sand balls left by the crab that lives in that central hole. 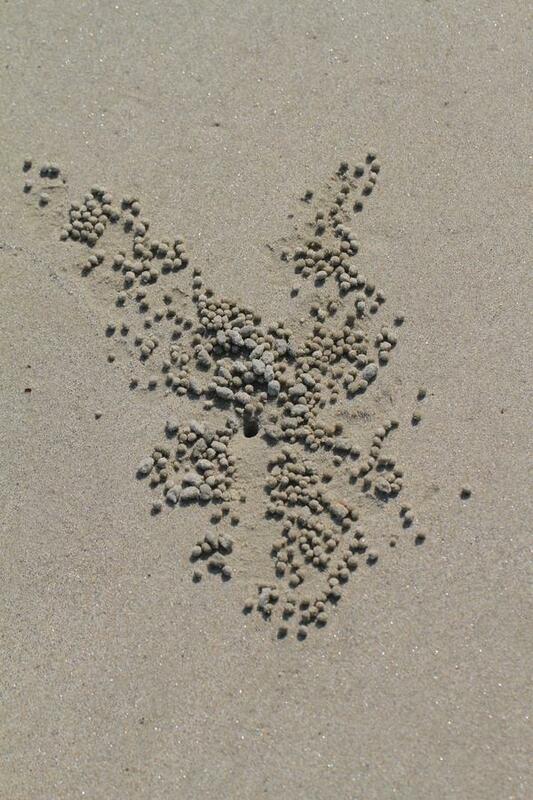 These covered all the Queensland white sand beaches we visited. 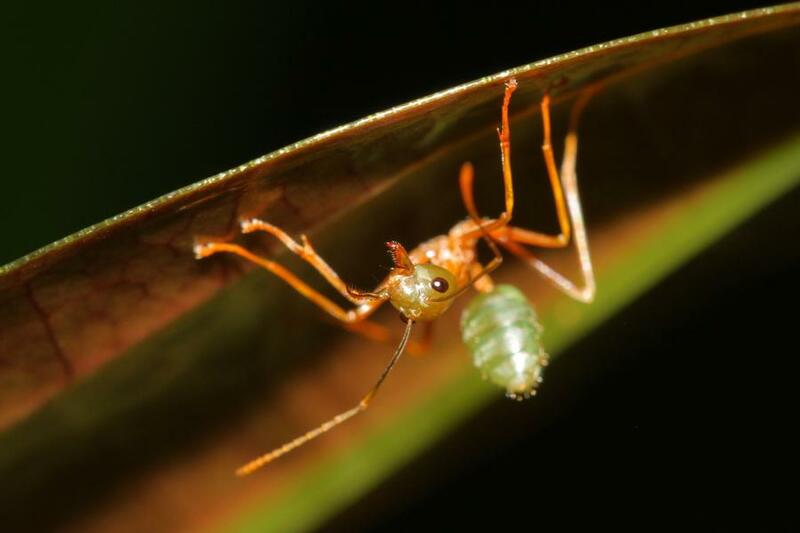 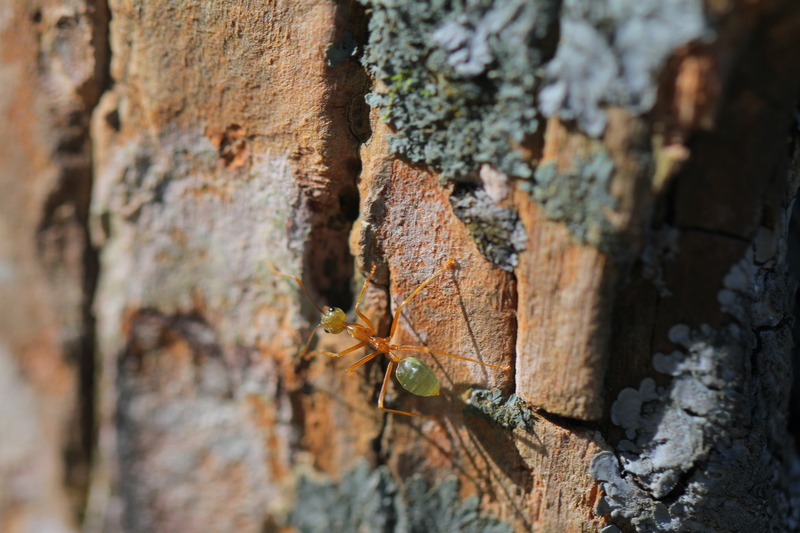 Green Tree Ant. 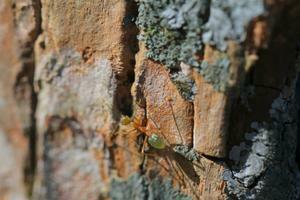 Not quite as sharp as the last one, but the tree surroundings with lichen were interesting too. 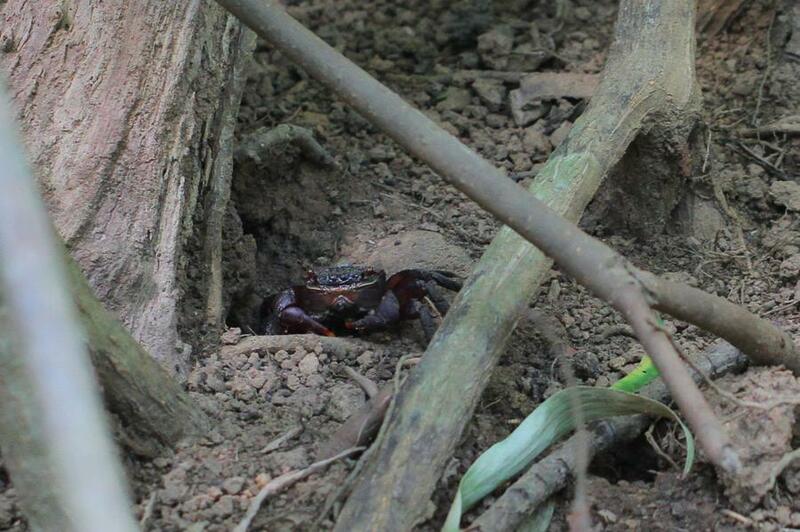 A crab living near the brackish waters of the Cape Trib delta.